Telehealth technology does more than overcome the physical distance between patients and health care providers. Staff members of the Telehealth Suicide Prevention Program at the Robert J. Dole VA Medical Center in Wichita, Kansas, are using telehealth tools to address both physical and mental obstacles to care by supporting Veterans during their transition out of inpatient psychiatric clinics. Last year, the Home Telehealth/Remote Patient Monitoring staff at the Dole VAMC explored using video telehealth and Remote Patient Monitoring to support Veterans transitioning from local inpatient psychiatric clinics to outpatient mental health services. The first week after discharge is a high-risk period for suicide attempts among patients with mental health challenges. Home Telehealth staff members suspected that equipping Veterans with telehealth tools before discharge could help support their transition by offering more options for receiving follow-up care. “Increased engagement is really the goal of Home Telehealth,” said Melicia Jordan-Yette, the telehealth nurse program manager at the Dole VAMC. After developing the initiative, an interdisciplinary team presented the idea to the medical center’s director. It was quickly greenlighted and became known as the Telehealth Suicide Prevention Program. Establishing a patient-provider relationship is an important part of the Telehealth Suicide Prevention Program’s onboarding process, explained Courtney Trear-Rains, the program’s telehealth suicide prevention coordinator. “We see time and again that social support and connection are key protective factors against suicide,” said Trear-Rains. 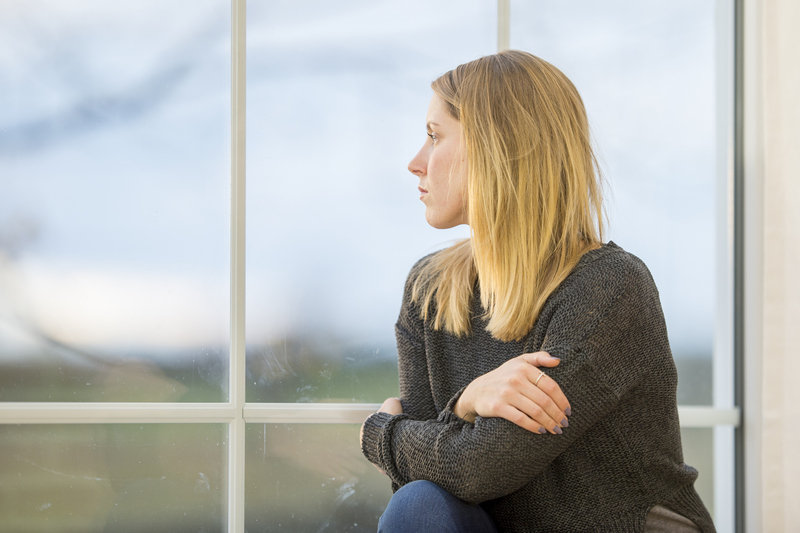 Due to the nature of their symptoms, patients dealing with mental health challenges often have a tough time attending follow-up appointments in person. By enhancing the traditional follow-up care approach with remote monitoring reminders and video telehealth appointments, Telehealth gives providers more opportunities to engage with Veterans who might otherwise not get the care they need. As part of the program, Trear-Rains conducts pre-discharge meetings with patients before they leave local inpatient psychiatric clinics. During these meetings, she teaches patients to use home telehealth remote monitoring technologies and apps, such as VA Video Connect. She also registers patients for the My HealtheVet portal and even distributes iPads with installed telehealth apps to Veterans who do not have access to their own broadband internet, tablets, or smartphones. Because there are no VA inpatient psychiatric units in the Wichita region (although the Substance Abuse Residential Rehabilitation Treatment Facility (SARRTF) is currently being developed), Trear-Rains travels to community clinics that are unaffiliated with VA to meet with Veteran patients. Visiting community clinics also gives her the opportunity to connect with Veterans outside the VA system who may be eligible to receive VA care but, for whatever reason, haven’t sought it out. These in-person meetings create what Trear-Rains calls a “warm hand-off” from inpatient care to Telehealth and outpatient services, which personalizes the discharge experience and encourages Veterans to engage with VA resources. “It adds a level of intimacy, just having that face-to-face meeting and seeing the person behind the name,” said Trear-Rains. The Telehealth Suicide Prevention Program is an example of telehealth’s ability to help with some of health care’s biggest challenges today. Dole VAMC Home Telehealth staff members hope that the program will soon expand throughout the state. “Providing our Veterans with a direct connection to VA via telehealth technology enables them to access not only mental health care but also health care across the board,” said Trear-Rains. About the Author: Treva Lutes is a communications specialist in the Office of Connected Care, Veterans Health Administration. – Reynaldo Leal is a public affairs officer for VA’s office of Digital Media Engagement and member for the VAntage Point’s staff. He is a proud Marine Corps Veteran who deployed to the Al Anbar Province with 3rd Battalion 5th Marine Regiment in 2004 and 2006. He also took part in some of the heaviest fighting during Operation Phantom Fury in 2004.